Today starting at noon eastern time, Leadership Network is presenting Aha! It’s a free, totally online leadership conference featuring 40 exceptional leaders sharing their “Aha!” moments, those moments when the light bulb went on with a critically important idea or realization. I’m going to blog about Aha live as it happens, so refresh this page often during the conference. And stop by and share your thoughts on the Aha! in the comments. If you haven’t registered and would like to take in this experience yourself, I believe you have until 11 AM (less than 30 minutes) to register. I had gone as far as my flesh could take me. I’m no longer working for Jesus. I’m walking with Jesus because I’ve come to grip with how much God loves me. Took over a church of older people who told him to go slow..
We tend to doubt ourselves. We compare ourselves. It’s evidence that we’re insecure in our leadership. It’s impacting churches. Example of David trying to wear Saul’s armor. It didn’t fit. We’re fighting the battles of ministries wearing someone else’s armor. God wants us to express the talents he’s given us not someone else. Are you listening to God? I had closed my eyes to people in my own neighborhood. Asked God to show me what He wants me to do. God asked her to buy coffee for day laborers, a gift card to someone who was hungry, buy gas for someone. There is a needs list on Craigs List. She responded to some needs. 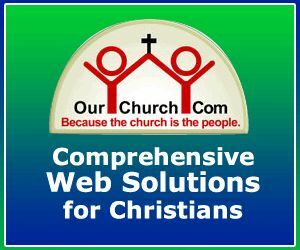 What if every Christian went to the Craig’s List needs list every day looking for ways to help? One of the best thing you can do for someone is to help them find their passion and live their life for it. Passion is not man made but a gift from God. Reach the point of half time in his life and asked what would make the second half of his life meaningful. Things were tough. They were never going to fill a 350 seat auditorium. Called people up to sit on the stage with us. People started to tell stories about what God had done in their life. In John 17 Jesus prays that we will be one. We are going to preserve the gift of relationship with each other. There’s no way to know whether preaching is effective. As a counselor I became completely divested of the outcomes and I became more effective. I needed to learn the same lesson in my preaching. My job is to preach fearlessly, freely independent of outcomes. Was driven to become a millionaire by age 30. Cannot serve both God and Money. Call people to lives of surrender and the whole body will be expanded in profound ways. Jesus said generosity is the antidote to materialism. Live lives of radical generosity and challenge others to do likewise. Hired 30 guys from the job center to make suspenders. They were terrible, violent, vandals. Rented the Apollo Theater in Manchester for a week to do concerts and present the gospel to youth. Challenged churches to demonstrate love to youth. First, God’s gives his people a heart. Second, reveal to people his new thing. God’s people need to listen. Expectations unclear, under-resourced, micromanaged by his first boss. This things kill innovation. I began to understand the power I had as a holder of a US passport. How many lines have I been brought to the front of the line without me knowing? How many doors have been opened when I didn’t even know there was a door? Because I’m American, speak English, white, male. We don’t really know how much power we have. Our role is to discover our power and help others discover their power. Asked God why do you have me here? God’s light shines brightest in the darkest places. Farm owner wanted to sell 70 acre farm to church, but heard God saying He didn’t want us to buy it. Opening 8 new missional communities that will cost almost nothing. Asked people to commit to 1 person for 1 year. Read Breaking the Missional Code. Bringing the church into the workplace. Got the best messages from the best churches around the country. A more focused apologetic – I read about the history of zero. Only from a point of view of “nothingness” can “somethingness” exist. There is a war going on. Some people want to eliminate all religion in the next 100 years. Biggest difference between students now and 10 years ago is now people are either fundamentalist or atheist, the spiritual fuzziness is gone. We have a tremendous ability to expand our leadership. But we rarely see it expanding without looking back. We plan our future through the lens of our capacity to lead today. We limit what we’re willing to try. What are you celebrating? Where are you winning? What challenges are you experiencing? What do you plan to do about those challenges? How can you shock the people in your community into being interested in Jesus? 3 things drew people to him – his words, his grace & his miracles. Shock people with kindness and generosity. My greatest fear is not your failure but your success. The more successful you are the more opportunities you have to do things that will distract from the main thing God wants you to do. Clarity means leaving really, really good things behind to find God’s best. Rather than pursuing the amazing, one-of-a-kind adventure God has for you we pursue tracks someone else has laid. Went to Ghana, Africa to adopt an orphan as their son. Whole village came out for a celebration. 1) My son didn’t care about my church or leadership role. He only cared if I would dance. Would I get into his world? 2) When you take the time to relate to someone’s world, God can impact you and them. 3) Jesus came to adopt me. I am so thankful that the Word came and dwelt among us. Are we going to be a church that is attractional or incarnational? Decided we would be both. Decided we are going to join with other organizations and just serve people without an agenda. I don’t think there’s a leadership problem in the church. I think there’s a leadership development problem. I was getting frustrated with program-centered approach to leadership development (classes). Lots of problems with attendance, schedule, self-appointed leaders, artificial environment. What if we decentralized leadership development efforts? Leaders developing their own leaders. Put all leadership dev classes online. Asked leaders to recruit leaders, have them do classes online, and them meet with them. High tech, high touch approach. Don’t focus on building leaders, build a leadership development culture. Think transformation instead of information. God told him to focus on the people, specifically children, instead of managing the city. Aha idea: adopting schools by multiple churches. We interviewed principals and pastors and we match them up. A lot of things come and go but here is what made the difference – Long Term commitment and monthly reviews. Do lounge makeover for teachers & grounds work at school as well. Struggle with the temptation to compare my ministry with others and conform my ministry to the expectations of others. Kept me from being who God called me to be. My aha moment came when I realized I had the freedom to do what God called me to do and be who God called me to be. Gal 6:4 Do your own work well. My unconventional methods were no longer something to avoid. Comparing ourselves to others causes us to look down on ourselves or others. Felt God calling him to be alone with God in the desert for 2 weeks. After taking everything off a scale it was still not 0. Wanted God to reset the scale. You are not what you produce or carry (responsibilities). I want to be true and honest like a scale, not what’s on the scale. Many leaders are in danger of becoming what they lead or what they produce. Asked schools what kids needed. Discovered kids who were getting free meals at school were going hungry over the weekend. Giving out 1,000 backpacks a week on Fri with food for the weekend as long as the kid stay in school. Grew up in a church where people didn’t care about each other & he didn’t want to go. Family I thought had it together were faking it too. Need to look around and see the people around us the way Jesus did. Be the people who care, the people who go for it, the people who love, and the people who never give up. Senior pastor asked me to create an online campus. I realize that God had orchestrated all of this in my life. My plan is not necessarily God’s plan. That saves me a lot of struggle. Even when you think your life isn’t moving forward, God is not wasting your time. Churches working together to make a difference. Unite! 150 churches in Atlanta now working together. Long term relationships are better than events. We view events as catalysts for long term relationships. Important that not just churches work together, but churches with business, government, non-profits. Church Staffing for the city – A church gives a portion of our staff to collaborative impact in the Big “C” Church. Began to lead worship for young adults. Was asked to lead young adults ministry & then go full time. Began to feel overwhelmed & inadequate. Humility brings gratitude not entitlement. In 1992 I realized there is nothing beyond Jesus Christ. All things were created by Jesus, through Him, and for Him. All scripture testifies to Jesus. When a person preaches am I hearing a person preach about a thing or Jesus? I used to seek God for wisdom, peace, truth, power. I realized that Jesus Christ is all of those things. Seek Jesus not those things. Not I but Christ living in me. Jesus said the kingdom of God is like a seed. God disguises huge opportunities in little packages. One man’s desire to make sandwiches to feed people resulted in the church feeding seniors, building a park, and feeding shut-ins. You don’t have to be linked to a ministry to minister to others. There’s a deep need for women to be trained to teach. Conservative evangelical women are less likely to seek out training for teaching because they don’t want to cross a line and sin. Women are more likely to teach about stories of women in the Bible and use analogies better understood to by women. We have a tendency to recognize flaws in others rather than ourselves. 2) Energy carrier – don’t just read the tone of the room but set the tone. 3) Conversation futurist – Use words to move people forward. 4) Compelling relator – drawn to us and Jesus. 6) Disproportionate Investor – invest in those who will reinvest in others. Sometimes we get confused between learning from criticism and being led by criticism. You have to be clear about where you’re going to withstand criticism. You have to be courageous & not change course. People need to either change their minds or get off the bus because having a bus full of people complaining is bad for everyone. Constantly communicate as far out as you can. Good teams – teams that work well, good churches – execute. They do the hard work of getting things done. I would rather have an 80% of an idea executed well than a 100% idea executed poorly. We were really good at ideas, but when they didn’t’ work we would get another one. The problem wasn’t the ideas it was in the execution of the ideas. Don’t throw away good ideas because of bad execution. Celebrate those who get things done. What is one area of ministry you think you could be dramatically better at not with a new idea but with better execution? Why did I delete the soccer email? Because I figured it was for someone else. It was probably sent to 100s or 1000s of people. People complain when people don’t sign-up for things. But we need to make personal invitations. The request to serve almost always needs to come one-to-one. Every leader needs to become a recruiter. Before sending out a mass email to yoru staff telling to them to recruit one on one, have a one on one conversation with them.